360 degree videos, or immersive video recordings have gained increasing popularity over the past few years, as they rightfully should. As such, large tech companies like GoPro and even Nokia have seen the need to put out quality 360 degree cameras with price points set at both the high end of the spectrum to target large movie productions, as well as those on the low end of the spectrum, both with the sole intent of revolutionizing the world of film making. Facebook has jumped onto this band wagon, and might I add that they have done so with style. Their release of the Facebook surround 360 in April 2016 has received nods from professionals as well as those who simply appreciate a good quality film. Don't be mistaken though, Facebook does not intend to become a camera manufacturer. Their main aim is to significantly increase the amount of quality 360 degree video on their platform. The Facebook Surround 360 camera is one of a kind. 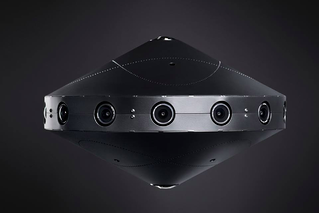 Coupling web based software with a 17 camera array, the Facebook Surround 360 can capture images and automatically render them. What is most impressive about this camera is how it evidently sought to clean up minor errors that would normally collectively compromise the quality of the video. Take for instance the rig's flying saucer shape, with 14 wide angle cameras arranged around it, plus a fish eyed camera at the top and two at the bottom that collectively eliminate the visibility of the pole that holds up the camera, or perhaps the replacement of the rolling shutter with a global one, and in doing so making sure that the final footage does not have displays of anything from when the individual shutters close. Facebook does not just want to increase the amount of 360 degree recording content on their platform, they want to increase the amount of quality 360 degree content on their platform, and that is why it was no surprise when they announced they will release it as an open source project on Github to encourage film making enthusiasts, hobbyists and even professional filmmakers to build cameras of their own using their design. They want more of these cameras to be in the market, to shoot personal experiences that only go to show that virtual reality and live action are worth the effort. The total cost of the materials to assemble your own Facebook Surround 360 is $30,000. Facebook came through and delivered on a project that could potentially take 360 degree video recording to the next level. Now that they have the camera perfected, their next move was crucial. They needed to figure out a way to get people talking about the camera, to grab their attention without being too obvious, and in doing so, the Facebook Factory impressed with the output of a virtural reality video called "Here and Now". To tell you the truth, i was shocked when I came upon the video last week. I don't even know how I click on the ink, but it must have popped up in my Facebook newsfeed. I didn't even know what i was watching and as it started playing on my phone, i happened to move my arm and the video moved along wiht me! For a split second I thought I thought I was spying in on people's private conversations! Think of how this can help your social media marketing efforts! Take a look at the video below. The Factory is Facebook's very own in house creative team. They are basically the ones that help Facebook communicate to the world both efficiently and creatively and have so far succeeded. They have an impressive portfolio to their name and can comfortably add this to their steadily growing body of work. They came up with the perfect proof of concept, creating and consequently releasing their first VR three and a half minute film, "Here and Now", shot of course on the Facebook surround 360 camera. Their choice of scenery was both spot on and ambitious: Grand Central Terminal! Spot on, because the setting is grand, with a lot of significance and history to it, but still within this large detail are smaller separate stories and ordinary conversations happening, which if you think about it, wouldn't be as eye catching if it were shot on an ordinary camera. 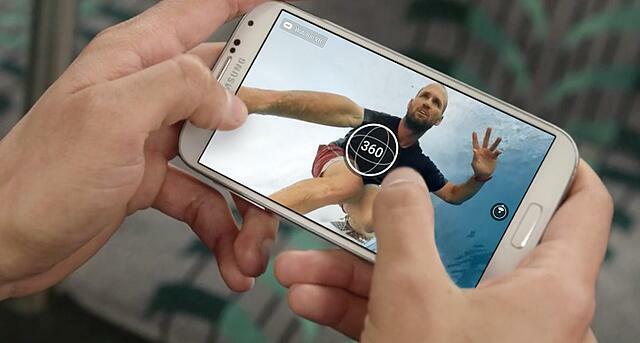 With 360 viewing it gets way more personal and the experience is up close. I call the setting ambitious because Grand Central Terminal is one of the most frantic and busiest terminals in the world with so many human interactions happening every single day. The terminal closes at 2:30 AM and reopens at 5:00 AM,and only permits filming between 2.00 am and 4.00 a.m. It is reported that Facebook only had three 90 minute windows back in March to capture content that they needed for the film, and if this is the case then kudos on the achievement despite the time crunch because there is no wisp of it compromising the output quality. To ensure that the video functioned well in virtual reality, they would intentionally counter check with Oculus and Samsung gear VR headset. We appreciate the diverse set of characters that are in the film. A good range, that does not seem unrealistically detached, but somewhat complement each other. We see a family reunite while another say their goodbyes. A couple fight and another couple reunite. A group of young people going out, while some children are coming back from the zoo. We again stop and appreciate how relatable these diverse groups are. They do not come across as though they are coached and well trained actors and actresses that have mastered their lines word for word , but more like ordinary people, and that is the beauty of it ,stripping off a lot of the gimmicks to make it more personal. We witness and experience all the characters individually contribute to the larger picture and in turn the content flows in a manner that is smooth and almost effortless. The choice of music is perfect for the ambience. It's a rendition of Jackson Brown's song 'These days' sung by Nico in 1967. An ideal fit considering the setting is in New York plus it adds just the right amount of emotion. Facebook has always tried to bring people together, and this latest venture is doing just that. In the gaming field, 360 degree viewing has been widely accepted and appreciated for the experience it offers. Facebook is trying to prove that by using VR, you literally get to see life through someone else's eyes virtually eliminating barriers and long separating distances. The film does not even come across as an advertisement for Facebook or the Facebook Surround 360, it is as if they are trying to inspire and shed light on the possibilities that come with virtual reality and 360 degree video viewing. The film invokes emotion and feeling more than anything and that is what makes it special. You do not feel as though you are being sold an idea, but rather as though you are being shown a possibility and that in itself is very fascinating.